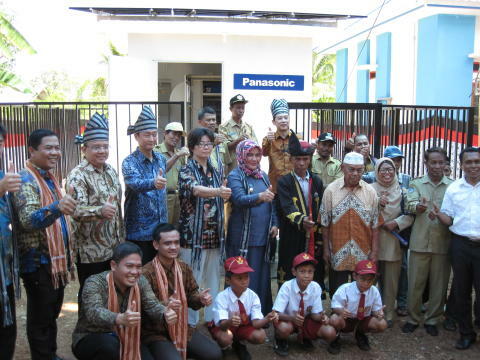 15 November 2016, Osaka, Japan – Panasonic Corporation installed a Power Supply Station in Kulati Village, Tomia Island, Wakatobi, Indonesia. 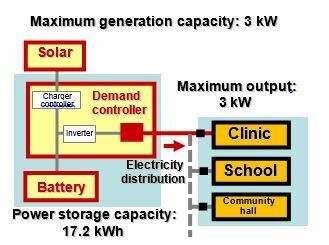 This photovoltaic package serves as the main power source for lighting and electrical outlets at clinics, schools, village community hall and other public facilities. 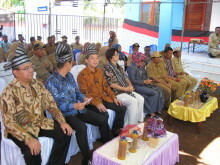 A handover ceremony was held jointly with its project partner, Institute of Self-supporting Development for Society of Coral Triangle (NGO), in the presence of Wakatobi’s Vice Regent Ilmiati Daud, SE, M.Si, Economic Minister Mari Takada, Embassy of Japan in Indonesia and residents of Kulati. Kulati Village is part of Tomia Island, Wakatobi, and is located at southeast Sulawesi in Indonesia. The villageis a semi-electrified area where electricity is powered from diesel generators, and is available only between 6pm - 10pm daily. Even within a 4-hr duration, interrupted power supply is frequent due to the inconsistency of generators, hence problems such as storage of medicines, child delivery, learning environment in schools and public facilities, arise. 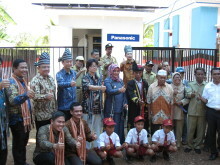 Panasonic delivered the Power Supply Station to Kulati Village via a public-private collaborative project1 which rides on the Grant Assistance for Grassroots Human Security Projects, promoted by the Embassy of Japan in Indonesia. The objective is to improve the power infrastructure by supplying electricity during the day, and also providing a reliable power supply during the night. 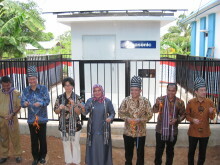 Kulati Village is the third area to benefit from the Power Supply Station, after successful installations on Karimunjawa Island in 2014 and Bandung District in 2015. These initiatives are rolled out to improve residents’ lifestyle, especially in medical services, education environment and other essential aspects. Panasonic would step up on its efforts to power more non-electrified areas and provide more solutions as part of the company’s global CSR commitment. 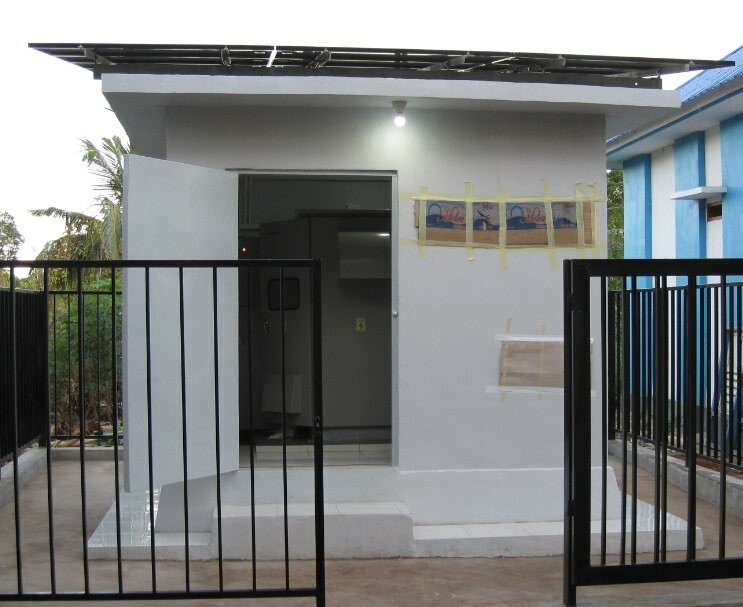 Product Name Stand-alone photovoltaic power package "Power Supply Station"
A public-private collaborative project using the Grant Assistance for Grassroots Human Security Projects. A form of assistance in which local public bodies, educational and medical institutions, NGOs, and others in developing countries provide financial support in the form of ODA for relatively small-scale projects implemented in that area. 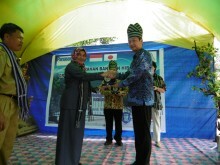 When a project involves public and private collaboration, the Ministry of Foreign Affairs promotes such projects with the aim of encouraging a Japanese company to contribute to development of local life and the economyof the country hosting the project through its CSR (corporate social responsibility) program. * HIT is a registered trademark of the Panasonic Group in Japan. 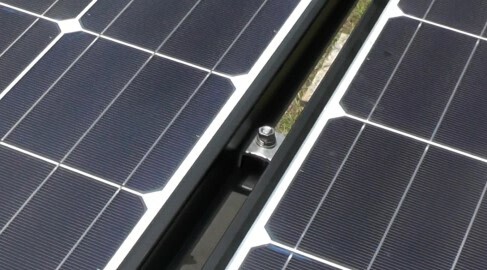 The Power Supply Station is equipped with twelve Panasonic HIT® solar modules and can output approximately 3 kW of electricity during peak sunlight. It is also equipped with 24 storage batteries (approximately 17 kWh), enabling it to supply stored power. The Power Supply Station was developed as a mass produced product to deliver stable quality overseas. 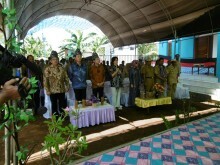 The unit for this project was manufactured and its quality was controlled by our Indonesian subsidiary, PT. Panasonic Gobel Eco Solutions Manufacturing Indonesia, before its delivery to Wakatobi. 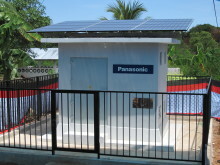 The station uses Panasonic HIT® solar modules to provide power efficiently, even in restricted spaces. The company's in-house-developed demand controller monitors the remaining electricity level of the lead-acid storage batteries and controls supply and demand, reducing deterioration of the batteries. 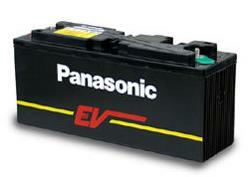 This reduces the life-cycle cost and maintenance man-hours for the storage batteries.